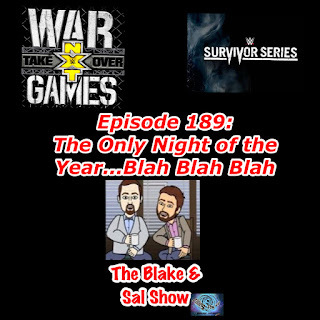 It's a big weekend in wrestling and Sal has a cold, but that isn't stopping him from joining Blake to preview WWE Survivor Series and NXT Takeover: War Games. They bring on a blast from the past Travis Bryant from the East Coast Cast and the South Krogress Podcast to discuss and break down both shows and other news. All that plus some fun with sound effects and a indy wrestling check in and it's a great show. 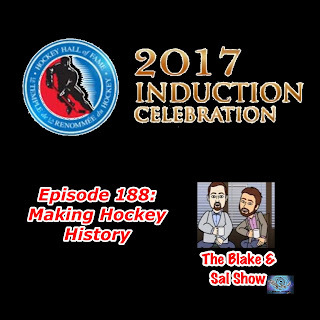 Blake brings Mike on to look at and break down the Hockey Hall of Fame Class of 2017. As a bonus, take a drink every time Jagr gets mentioned. Enjoy the show! In a show with very little or at all editing, the guys break Mark and Scotty to discuss everything from The Lion King and The Greatest Showman to Team USA Soccer to the WWE releases and #UnderSiege. It's a fun and crazy show that brought them back to how the shows of old used to run. Sit back and enjoy.